When Steins;Gate Elite released in Japan for Nintendo Switch on September 20, all copies of the game came with a download code to redeem an exclusive Famicom 8-bit style game called Famicolle ADV Steins;Gate. 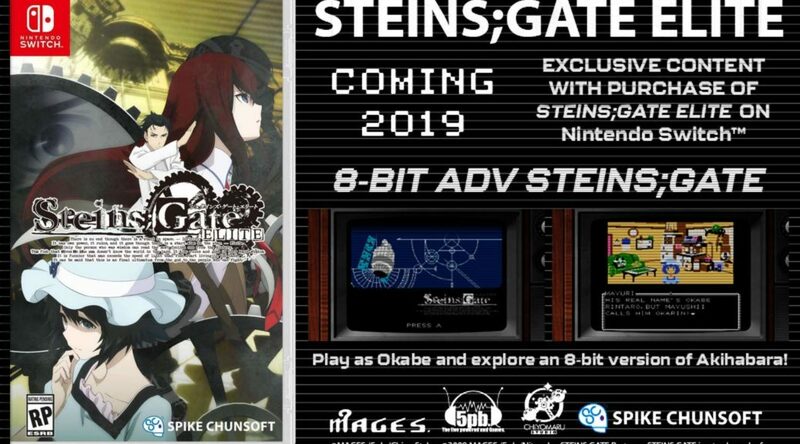 Spike Chunsoft has now confirmed that Famicolle ADV Steins;Gate (called 8-Bit Adv Steins;Gate) will be included in all launch copies of Steins;Gate Elite in North America when it launches in 2019. 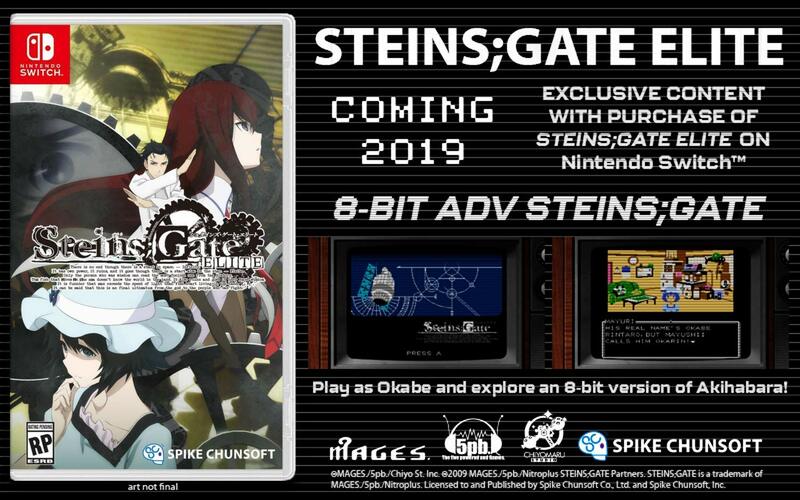 Learn more about 8-Bit Adv Steins;Gate here. Pre-order your copy here (ships worldwide).